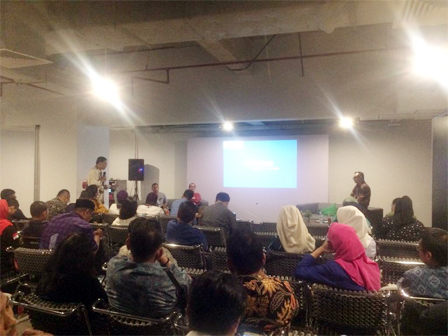 29 entrepreneurship organizations in Jakarta have joined in OK OCE Association (PGO).
" We will collaborate with government to give coaching and assistance for new entrepreneurs"
There is a possibility for number of joined organizations to increase since registration is still open through okoce.me website. PGO Trainer Council Head, Alexander Yahya Datuk said, those organizations will be collaborated with Jakarta Provincial Government to succeed OK OCE program. "We will collaborate with government to give coaching and assistance for new entrepreneurs," he said at Jakarta Creative Hub, Thursday (1/11). PGO General Secretary, Iim Rusyamsi added, PGO has 12 programs. Joined organizations must owned legal entities and network to urban village level. "We have the same vision and mission to create 200 thousand new entrepreneurs in five years ahead," he affirmed. He mentioned, there are various types of business from 29 organizations and 12 programs. Such as culinary, laundry, shariah economy, and others. Thus new entrepreneurs are only need to choose section they want to work on. "We will give assistance later. From coaching, financial report making, permissions, and helping them to get access for capital," he conveyed.